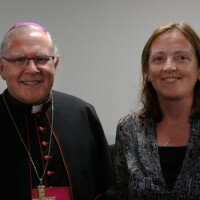 Archbishop of Brisbane Mark Coleridge and Dr Maeve Heaney VDMF. 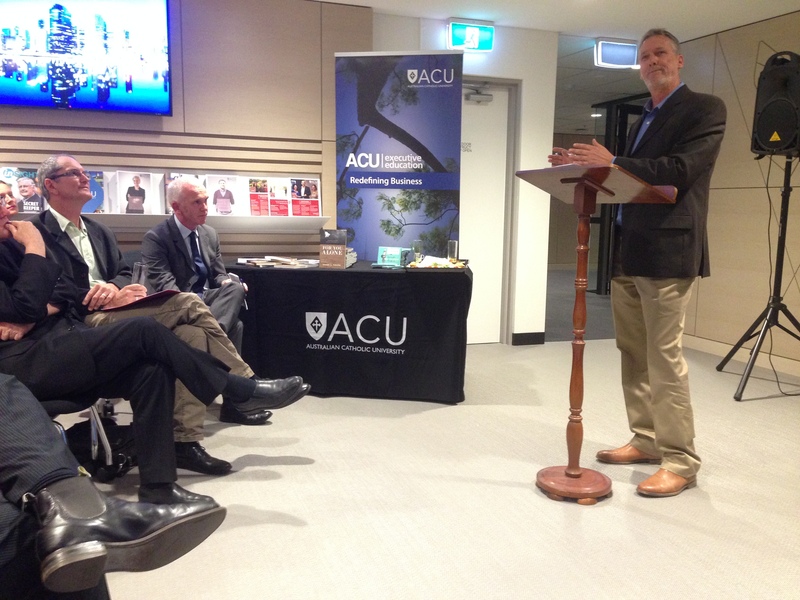 The ACU Faculty of Theology and Philosophy recently hosted the joint book and CD launch of two members of the University’s teaching staff. Dr Maeve Louise Heaney VDMF officially launched a CD collection of her music called ‘Break the Crystal Frame‘. In addition, Dr Terry Veling launched his new book entitled ‘For You Alone: Emmanuel Levinas and the Answerable Life’. 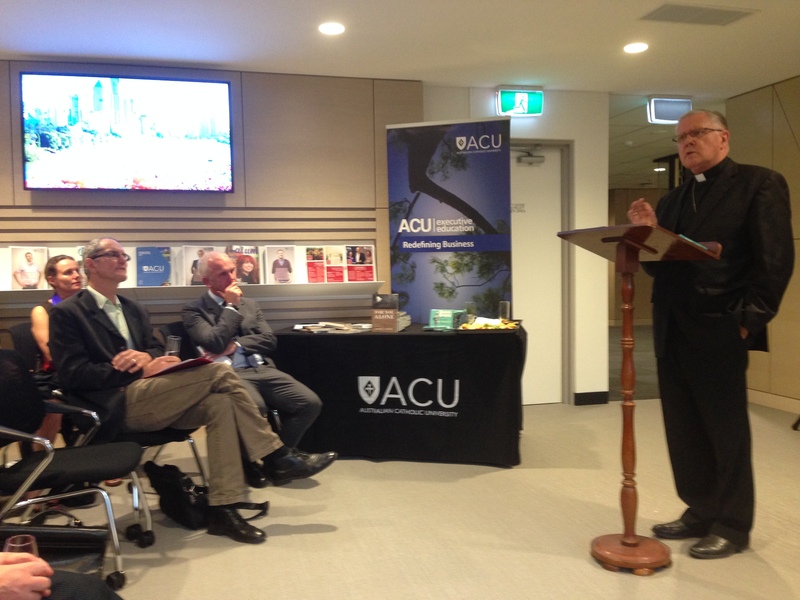 Archbishop of Brisbane Mark Coleridge officially launched the CD and book. 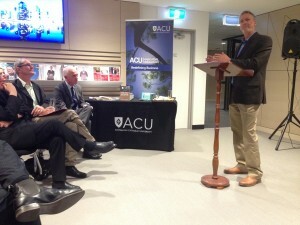 Prof Neil Pembroke, University of Queensland, was also present at the launch. 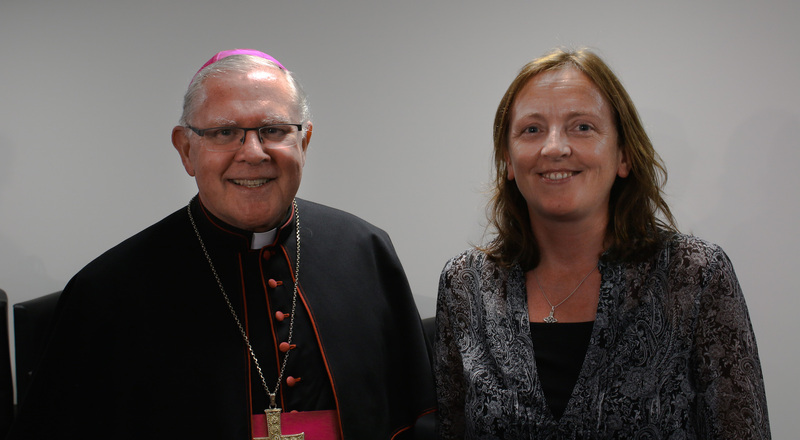 “One of the things that struck me, as I listened to one and read the other, is that between the two works and in each of them, there are tensions, and they’re fascinating tensions to ponder,” Archbishop Coleridge said. “Both the book and the CD are in one sense more a question than a statement. And that’s part of why they’re important and powerful,” he said. This entry was posted in Special interest on January 6, 2015 by ACBC Communications.